The end is nigh. Yesterday felt the sheeps’ lower backs to make sure they weren’t just a bag of bones wrapped up in a very thick fleece, and we’re happy that there’s enough on there to keep us in lamb hotpots for a while. So on Monday, two will be making a one-way journey to the abbatoir. As with the pigs, we’ve been careful not to get attached to them so none have names and with few identifying features it’s not that easy to tell them apart. 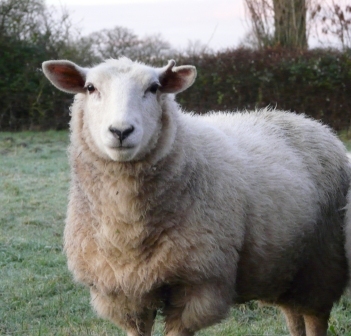 However, one has a distinctive torn ear, and it also seems to have a bit of personality – for a sheep at least. He will have a stay of execution while we get a new eartag organised, but I think I might feel my first flash of smallholder sadness when he leaves us. Not least because we will then be animal free until the next arrivals.